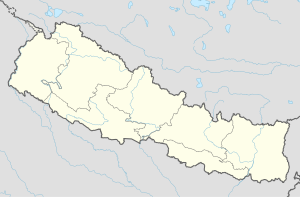 ↑ (नेपालीमे) Ancient Nepal. The Department. 2007-06. https://books.google.com.np/books?id=dlNQAQAAMAAJ&q=%25E0%25A4%259C%25E0%25A4%25A8%25E0%25A4%2595%25E0%25A4%25AA%25E0%25A5%2581%25E0%25A4%25B0%25E0%25A4%2595%25E0%25A5%258B+%25E0%25A4%2587%25E0%25A4%25A4%25E0%25A4%25BF%25E0%25A4%25B9%25E0%25A4%25BE%25E0%25A4%25B8&dq=%25E0%25A4%259C%25E0%25A4%25A8%25E0%25A4%2595%25E0%25A4%25AA%25E0%25A5%2581%25E0%25A4%25B0%25E0%25A4%2595%25E0%25A5%258B+%25E0%25A4%2587%25E0%25A4%25A4%25E0%25A4%25BF%25E0%25A4%25B9%25E0%25A4%25BE%25E0%25A4%25B8&hl=en&sa=X&redir_esc=y. ↑ (enमे) Original Sanskrit Texts on the Origin and History of the People of India, Their Religion and Institutions: Inquiry whether the Hindus are of Trans-Himalayan origin, and akin to the western branches of the Indo-European race. 2d ed., rev. 1871. Trübner. 1871. https://books.google.com.np/books?id=g6inYJea_ggC&pg=PA403&dq=M%25C4%2581thava+Videgha&hl=en&sa=X&redir_esc=y#v=onepage&q=M%25C4%2581thava%2520Videgha&f=false. ↑ Jha, Ugra Nath (1980) (enमे). The Genealogies and Genealogists of Mithila: A Study of the Panji and the Panjikars. Kishor Vidya Niketan. https://books.google.com.np/books?id=V0xmAAAAMAAJ&q=Mithila&dq=Mithila&hl=en&sa=X&ved=0ahUKEwiBv8mlkIbWAhURUI8KHdfvC1QQ6AEIRTAI.